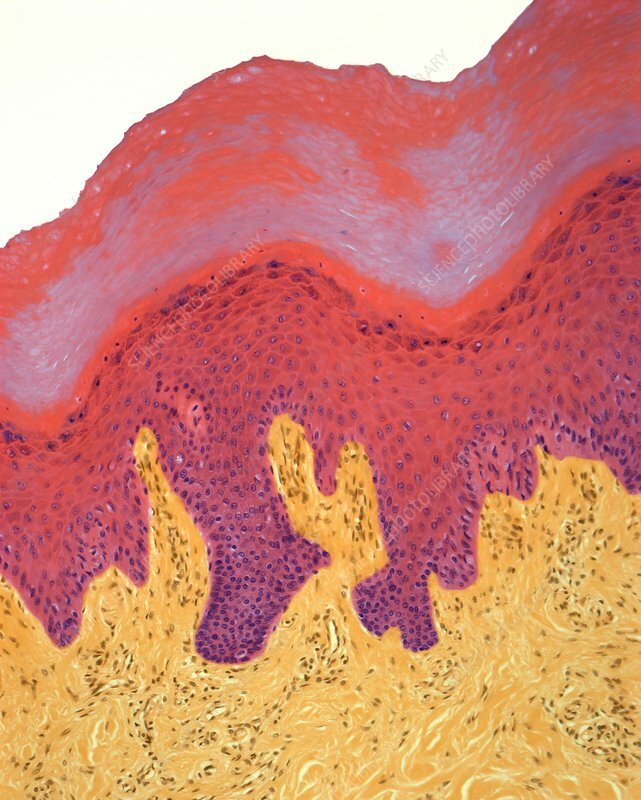 Human fingertip, light micrograph of sectioned skin. The skin on the palms of the hands and soles of the feet is refered to as thick skin as the outer layer of keratin (stratum corneum) is much thicker here than in the rest of the body. This adaptation occurs in areas of high friction and wear. Magnification: x 150 when printed at 10 centimetres wide. Human tissue.